We can't hide anything from you, but we will certainly try. Can you find what you're looking for in these games? Meet your valentine in this special spot the difference game for valentine's day. 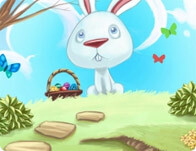 Try and spot all differences between pictures in this fun Easter themed game! Find the differences and win this cute game. Kind nuns or fierce fighters? You have only seconds to decide pick out the ninjas to win! A St. Patricks day spot the difference game. Spot the differences in this mad mad world. Embrace the MADNESS, we don't play fair! Easy to play, relaxing puzzle with some music twist. Compare 2 images based on various locations in New York and find 5 differences! Choose from three word search themes, or create your own custom set of words. Try spot what is the difference between two celebrity photos side by side. Welcome to Girl Games, the largest free game site made just for girl gamers! This is the place to play free Puzzles games in popular categories such as Quizzes games,	Matching games,	Jigsaw games,	Cards games,	Word games,	Memory games,	Board games,	Quest games,	Chain Reaction games,	Searching games,	Strategy & RPG games,	Misc Puzzles games,	Drawing games,	Mahjong games	and more! and much more! You'll always find the cool games at Girl Games, we have all the best games from game developers like i-dressup, girlsgogames and cartoon doll emporium so you will never get bored! This month we have some amazing games like FiveSterne	, D-Finder 3	and Smiley Difference. New games are added every Thursday, so check back for all the latest free games online!